Celiac disease is characterized by severe gastrointestinal upset whenever a person eats gluten-containing foods. 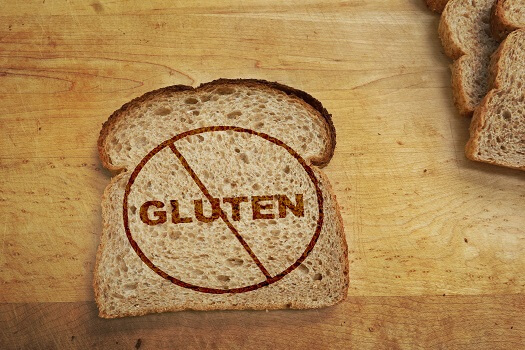 One of the best ways to manage celiac disease is to avoid gluten altogether. Here are a few tasty and healthy meal ideas for seniors who have celiac disease. Chicken and broccoli stir fry contains chicken breasts and brown rice, which are packed with protein and gluten-free fiber respectively. Since the meal contains fresh broccoli, seniors get all their daily vitamin A, B, and C requirements. Make sure to flavor the dish with gluten-free soy sauce because many common soy sauce and tamari brands contain gluten. Some seniors need help with meal prep. If your aging loved one needs occasional help with bathing, grooming, cooking, or other basic household tasks, or if you need time to attend to important personal matters, reach out to Home Care Assistance, a leading provider of live-in and respite care. Toronto seniors can maintain their independence while living at home with the help of our reliable respite caregivers. The key to creating healthy tacos is using corn tortillas and avoiding gluten-rich cheese and canned beans. Black beans are an excellent source of protein because they contain high doses of iron, magnesium, calcium, and vitamin B. If you want to make the dish even healthier, include some avocado for a dose of good cholesterol and some fresh tomato slices for a boost of antioxidants. Breakfast is often a challenging time for seniors with celiac disease since they cannot have traditional pancakes, toast, and cereals. Help your loved one start the day right by cooking up some potato hash, eggs, and turkey bacon. Potatoes are an ideal source of potassium, which lowers blood pressure. The eggs and bacon provide enough protein to keep your loved one feeling full for hours. Eating nutritious meals is just one of the many ways older adults can boost their health. Seniors who want to remain healthy as they age can benefit in a variety of ways when they receive professional elder care. Toronto, ON, Home Care Assistance is here to help your loved one accomplish daily tasks, prevent illness, and focus on living a healthier and more fulfilling life. Thai chicken salad is loaded with healthy ingredients. The peanut ginger dressing provides healthy fats, the chicken contains lean protein, the carrots are a great source of vitamin A, and the cabbage provides vitamin C. Eating a big bowl of Thai chicken salad ensures your loved one gets several vegetable servings for the day. Salmon is a good source of omega-3 fatty acids, which reduces the risk of heart disease and dementia. Quinoa is safe for seniors with celiac disease because it doesn’t contain gluten, and it’s also a rich source of protein. Switching to nutritious foods is one of the healthiest lifestyle choices older adults should consider. If your aging loved one needs help managing everyday tasks or encouragement to adopt healthier lifestyle choices, turn to Home Care Assistance, a leading provider of home care. Toronto Home Care Assistance provides professional in-home caregivers around the clock to help seniors live longer, happier, and healthier lives. To learn about our high-quality in-home care options, give us a call at (416) 488-8777 today.